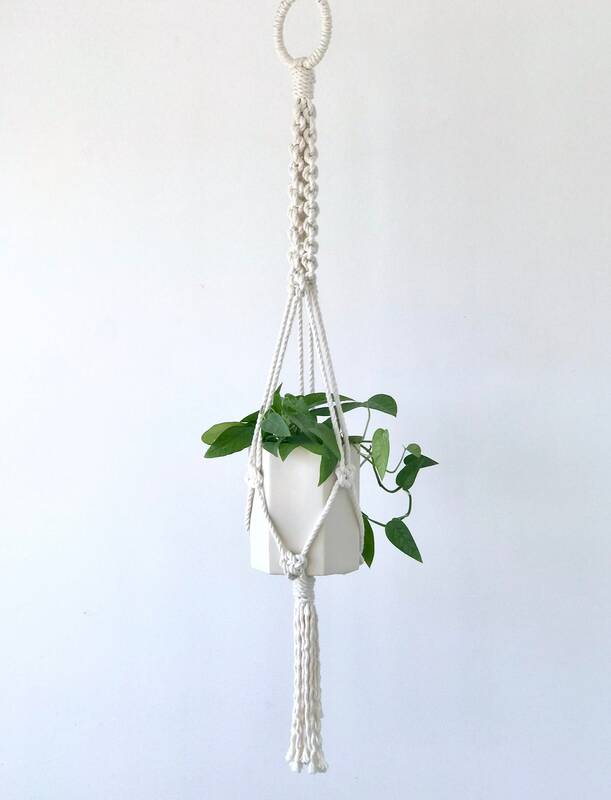 This beautiful macrame plant hanger and porcelain hexagon planter will be such a stylish addition to your indoor houseplant collection. Perfect for the modern or traditionally designed home. 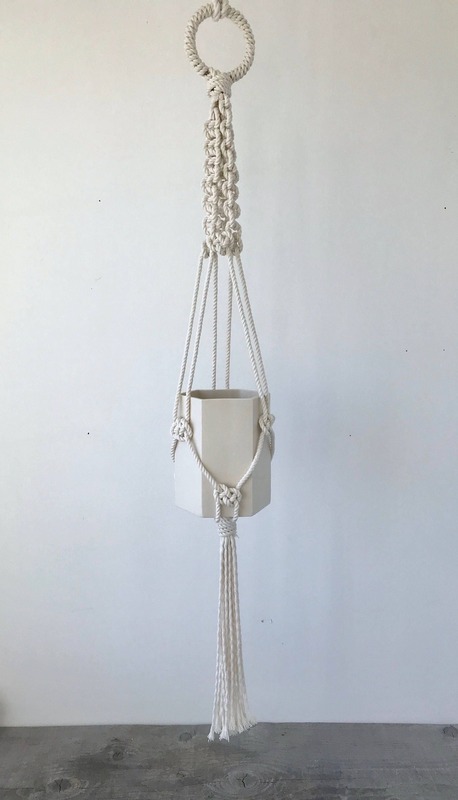 Macrame is back and it is currently one of the hottest trends in home decor. We have designed the perfect hexagon vase to fit in this small to medium sized, handmade planter. 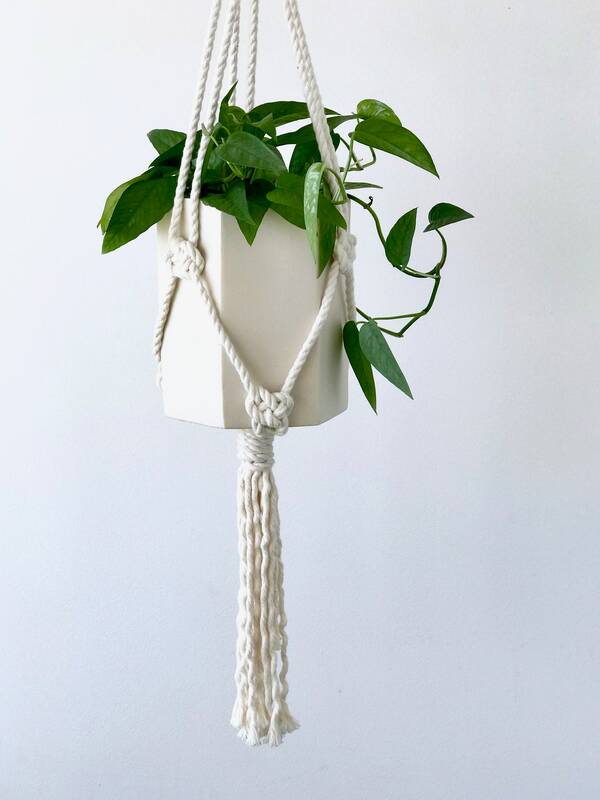 Your order will contain both the planter and the cotton macrame hanger. The vase is made from a fine porcelain and does not contain any drainage holes. Please note that this item is made to order and there is a 7 day lead time.